If you’re experiencing acne and you go to your doctor for support, you are likely to come away with one of four prescriptions: antibiotics, hormonal birth control, isotretinoin, or spironolactone. Adult and hormonal acne is very common and very treatable with diet and lifestyle changes. Unfortunately, it’s more likely you’ll receive a medication instead of advice on diet-based acne triggers and acne treatments because that’s how the majority of our medical system is set up. Acne is a serious problem for some women, it can affect your self-confidence and mood, and it deserves a treatment that gets rid of it completely, long term, without any side effects. Birth control pill – any method of hormonal birth control can potentially suppress acne, but it might also make it worse. Synthetic birth control control disrupts your microbiome, endocrine system, and micronutrient levels – all systems essential for keeping your skin clear. You may have clear skin while you’re taking it, but not without added side effects that can worsen issues like PCOS, plus increase your risk of some reproductive cancers. Once you decide to stop using hormonal birth control, a common symptom of the withdrawal period is acne, often worse than you’ve had before because of the internal disruption that has occurred as a result of the medication. Antibiotics – we are more aware now than ever of the dangers of over-prescribing and over-using antibiotics. Using antibiotics long term is never a good idea as it will mean if you need antibiotics for an emergency health problem, they will not be as effective. Antibiotics do incredible damage to the microbiome, and robust gut health is important for clear skin. As with hormonal birth control, when you come off the antibiotics the acne will not only return, but be much worse than it was before because of the microbiome damage. Antibiotics don’t distinguish between good bacteria and bad bacteria, they kill all of it, leaving us depleted of the necessary bacteria for good hormonal health. Isotretinoin (originally Accutane) – if you’re prescribed Isotretinoin, then you are also prescribed hormonal birth control, because Isotretinoin causes birth defects. That in itself should be enough to dissuade you from using this medication. There are other side effects – including an initial worsening of acne, and severe depression. The original patented drug, Accutane, was removed from the market when many users found it caused them to develop Inflammatory Bowel Disease. Usually this medication is offered as a last resort, but rarely are diet and lifestyle changes part of the prior process of acne treatment. In my previous blog post we’ve looked at the best pills to take for acne – and they’re not medications! 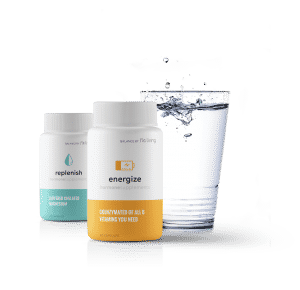 Probiotics for gut health, essential fatty acids, a liver detoxifier, B complex, magnesium and zinc – these natural supplements will have the positive effects you’re looking for, with none of the side effects. And, as a bonus, they’ll clear up your other hormonal health issues at the same time. The even better news is that you can now dump the prescription and get a subscription! A subscription to my supplement kit, which contains every single one of these vital nutrients and minerals that your body needs to clear you skin and make it glow from the inside out. As someone who has previously suffered with hormonal acne, I have my favorites when it comes to skincare products. These are free from endocrine-disruptors, are all-natural, and work quickly – no ProActiv in sight! The Flo Living protocol effectively supports your body’s elimination system, balances estrogen and testosterone, and will treat and prevent your hormonal acne. A combination of the right foods and the right supplements can help you move past hormonal acne, finally, and get the clear skin you want. It worked for me and it will work for you too. I have had acne for 20 years . I was on birth control but got DVT ! Will your supplants cause DVT since I can’t do any hormone manipulation or take oral hormone pills ? The supplements do not contain any hormones, so they are safe. Please make sure you have been checked for factor V Leiden. I would start with a supplement for the liver – you can support the liver with lots of green veggies and teas like nettles or milk thistle. My daughter is 21, eats super healthy (plant based, no meat or chicken) and has normal periods. She has had acne on her cheeks for starting 16-17 yrs old. We have tried vitamin supplements, natural cleansers etc. all to no results. She has some normal stress from being in year 4 college working on science bio medical field. testing? OR should we start with your supplement kit?? Getting hormonal testing is an option to see if something shows up. 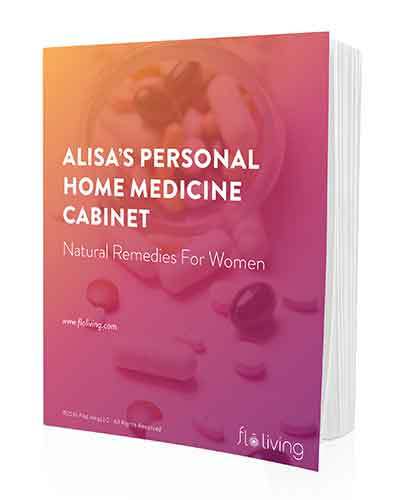 Before going with the supplement kit you could do the hormonal test kit that we offer and this should point us in the right direction. It is best to understand what the issue is before treating and hoping something works. Can you take supplements if I’m Zoloft?